Considering the seemingly infinite number of cannabis delivery methods, the invention of THC water is hardly surprising. While THC drinks are quite common – especially as teas – water offers an alternative that is perfect for casual users. THC water stands out in a lot of ways. Its potency is relatively reigned in compared to tinctures, concentrates and even some dry herb. Of course, like many cannabis products, there is plenty of variety. Knowing what these items are and how to use them could lead to a new favorite cannabis product. THC water is pretty self-explanatory. It is water infused with THC. It can come in a variety of forms, from plain water to sparkling or flavored options. 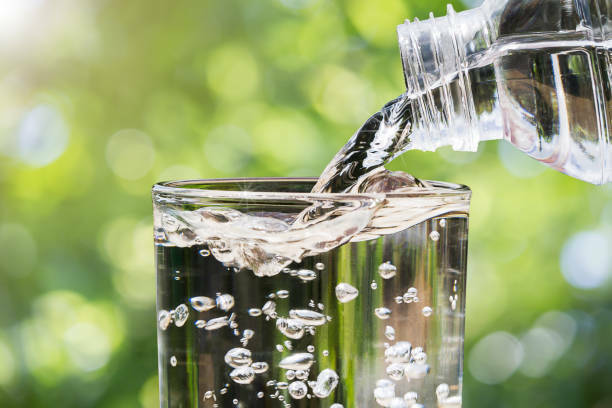 In other words, it is just like the different water products available in grocery stores; however, unlike regular spring water or flavored drinks, THC water is remarkably versatile. Ever since this form of cannabis came out, users found that it was easy to use in several ways without altering the effects. For instance, one individual claims that he “ended up getting high of instant ramen”. Despite being boiled to make this instant soup, the THC remained intact. Cold does not seem to affect the potency either, allowing it to be frozen solid as ice cubes, used in home-made popsicles or added to any recipe that calls for water (i.e. gelatin desserts). Although processed through the gut like other edibles, THC water is actually much more efficient. Typically, users feel its effects in just 15 minutes after ingestion. Compare that to regular marijuana edibles – which take 30 minutes to four hours – and it is obvious why many people would find this product useful. This behavior is hardly surprising. As a plain liquid, water processes quickly. While it may be fast-acting, THC water is not for everyone. The amount of THC varies from one product to another, but those that contain a regular dose (10-12mg) offer a mild “buzz,” similar to a single alcoholic drink. Since each dose of water is enough to cause minor impairment, those looking for a stronger high can simply drink more. But unlike regular edibles, users will know where they stand within just a few minutes, rather than hours. While the final product may seem simple, the process of creating THC water is quite difficult. Anyone looking to make this at home will be sorely disappointed. The biggest obstacle is that THC is oily and therefore not water-soluble. 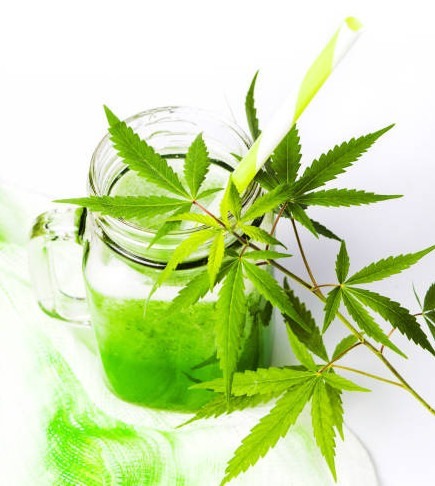 In other words, the cannabinoid cannot dissolve in water the way sugar or salt would; however, infusion is possible by making the THC “water-compatible” through a process called “emulsion”. This involves mixing oil and water with a “surfactant,” which allows the oil to combine with its carrier, but not dissolve. Emulsion is not exclusive to THC water. This technique was established long ago, used in industries like cosmetics, fuel, and metalworking to create components vital to the final product. Although they appear to dissolve substances into water, there is a major difference between being water compatible and water soluble. Sugar and salt, for instance, are two examples of water-soluble compounds. 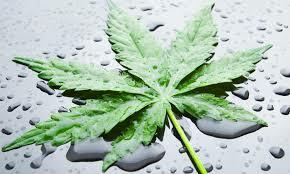 THC’s oil-based nature makes it “hydrophobic,” meaning it rejects water. Emulsion simply forces the THC to essentially “get along” with its water carrier, mixing it without dissolving. Manufacturers achieve emulsion through two possible methods: micro-emulsion or nano-emulsion. Micro-emulsion is the least preferred of the two methods. Emulsions, in general, are unstable, eventually causing the oil and water to separate. Ultimately, this makes them ineffective in the long-term. Micro-emulsion solves this to an extent, but it requires such a high level of surfactant that it is useless for many applications – including THC water. It also suffers from temperature and pH instability. The biggest problem with surfactants is that they dilute the mixture. Naturally, higher levels of surfactant results in less potency. Due to this and its other disadvantages, micro-emulsion – although useful for some products – is not a viable option for THC water. The other option is known as nano-emulsion. Aside from its ability to make THC (and other compounds) water compatible, it carries other advantages that are vital to quality THC water or CBD water. First, nano-emulsion requires 10 times less surfactant than micro-emulsion. Considering how concentration affects THC potency, this is a major advantage. Thanks to the lower surfactant requirement, producers have more room to increase or decrease potency, while still providing the desired effect. Second, nano-emulsion provides excellent bioavailability. This means that the compound carried within the water (in this case THC) is more easily absorbed and harnessed by the body. Again, this is critical to ensure potency and even increases the speed at which users feel the product’s effects. Finally, nano-emulsions provide such strong bioavailability, that absorption of the THC water begins in the mouth, rather than relying exclusively on digestion. Consequently, producers use lower doses of THC. In order to get the best experience from THC water, it is essential to understand the difference between full-spectrum and isolate. The “best” choice depends on personal preferences or medical needs. Put simply, full-spectrum THC extract retains the terpenes responsible for the flavor and effects of its parent strain. Isolate, on the other hand, is pure THC. Fortunately, emulsification – unlike some other processes – does not affect terpene content. This is good news because full-spectrum is the best choice for therapeutic and recreational reasons. This may seem counterintuitive since we would think that a pure product is more effective. However, the “entourage effect” is what makes full-spectrum the superior choice. In a nutshell, the entourage effect is a synergistic relationship between cannabinoids and terpenes. When combined, these compounds work together and increase the potency and medical benefits of the strain. Terpenes also allow the THC water to offer certain flavors and benefits that pure isolate simply does not have. Keep this in mind when shopping around. While isolate may not offer the same advantages as full-spectrum, this does not necessarily make it a poor choice. Some people might actually prefer it over the relative unpredictability caused by terpenes. To create THC isolate, producers extract the cannabinoid from its terpenes, leaving behind a pure final product. They then combine it with (in this case) water using the emulsion process. Without terpenes to act as “wildcards,” isolate’s effects are universal. Isolate users typically report a more energetic high that stimulates cognitive activities, rather than generating euphoria or relaxation. Choosing the right THC water when you are shopping a Canadian online cannabis retailer, is obviously important. Unfortunately, the labels are not very thorough, offering only whether the water is full-spectrum or isolate. While this is not an issue if the bottle is labeled “isolate,” full-spectrum customers will be in the dark regarding specific terpenes. A step in the right direction would be to find out which strain was used. It also helps to try and ask the manufacturer directly; however, keep in mind that many companies consider this information proprietary, and therefore it cannot be shared with the public. Those who rely on terpenes will likely end up choosing the right product through trial and error. There are many products that use THC water as their main (or sole) ingredient. In fact, this type of water is so versatile, that the product list is virtually limitless; however, there are some particularly popular ones worth mentioning. Naturally, plain THC water would have to be an available product. Various companies recently created plain, flavored and/or sparkling water infused with THC isolates or full-spectrum. Those looking for something basic will likely find an item they love in this category. Soda is a very popular drink, so it only makes sense to add THC water to this staple refreshment. THC sodas are quite straightforward. Their ingredients simulate a carbonated soda drink. Just like soft drinks, people are able to get their THC through colas, root beers, fruit flavors and more. Naturally or artificially flavored fruit drinks are easy to come by – a testimony to their popularity. Cannabis producers tapped this market and created their own drinks, infused with THC. These products are non-carbonated and designed for fruit flavors. Some use natural juices (albeit with a lot of sugar), while others artificially simulate the taste. Specific fruit flavors or cocktails, like fruit punch, are easy to find among the many THC juices available. As the name implies, this product is a non-alcoholic beer containing THC. These beers come in a wide variety of flavors reminiscent of the real alcoholic drink. Of course, instead of experiencing the effects of alcohol, users will be influenced by THC. There is no such thing as a perfect cannabis product. There will always be features that attract some and repel others. It is important to know what makes THC water great, to see if it is the right fit for a user’s needs. Because it is ingeseted, THC water is also an edible. While many edibles – despite product differences – behave the same way in terms of effects, THC-infused water stands out. While regular edibles take anywhere between 30 minutes to four hours before taking effect, water and water-based beverages have an impact within 15 minutes. Dosing is far from precise, but users can still estimate their intake by simply reading the label. If the THC content matches the user’s needs, they can simply have the drink in its entirety. Those not looking to consume the whole drink can start slowly and work their way up to a comfortable level. The fast effects provide quick feedback, making this process much easier than with other edibles. The amount of THC water varieties are incomprehensible. The number of products, along with their subgroups, provide a massive level of choice. From sodas to lagers, THC water offers it all. Although THC water wins the day in terms of onset and dosing, there are some areas where it falls flat. The only arguable disadvantage to THC water drinks is their obvious negative impact on health. Beverages are laden with sugar, caffeine, aspartame and other unhealthy ingredients. It is no secret that these are huge contributors to obesity, diabetes and a slew of other diet-related diseases. It goes without saying that long-term users of THC water beverages will feel the health effects associated with so much sugar. The only way to avoid this is through plain or naturally flavored cannabis water.